The subject of bath, basin, shower or appliance waste pipes may not be a hot one but if you are planning on a kitchen or bathroom renovation or on moving an appliance such as a washing machine, it’s important to know your options when it comes to what waste pipe system you should or shouldn’t use. To these ends, we though it would be a good idea to have a quick look at the different systems available and what advantages or disadvantages they may have when used in certain situations. 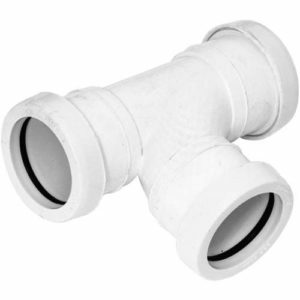 Very similar to their larger cousins, the soil pipe, push fit waste pipes work in a similar manner in that the various couplings, joiners etc feature a rubber collar and when a pipe is push in, the seal compresses around the pipe forming a water tight seal. 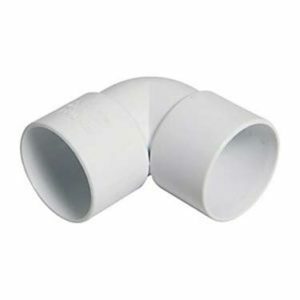 This type of waste pipe and fitting is very popular with many DIY and hobby plumbers due to their ease of use and also for the fact that, once assembled, they can easily be taken apart again if required. If you would like to know more about push fit wastes then see our project here. This type of fitting differs quite a bit from both the above and below in that it does not rely on any form of rubber seal to make it water tight. Instead, any and all pipes and fittings are effectively glued together using a special solvent bold, hence the name, solvent weld. These fittings are generally preferred by professional plumbers as they aren’t as bulky as the other types and are also quite quick to install. If you would like to find out more about about solvent weld waste systems see our project here. These fittings are a little similar to the push fit type in that they rely on a rubber seal to make them water tight, but where push fit simply push together, these work in the same manner as copper compression fittings. 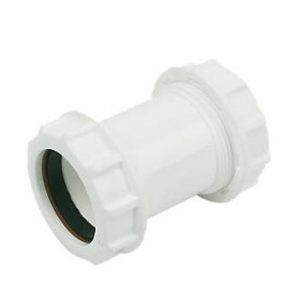 A compression cap is screwed down on to a rubber seal that forces it down in to the fitting or joint and creates a water tight seal around the pipe. Although easy to fit, this type of waste pipe is quite bulky and therefore not generally used by the pro’s. To learn more about compression waste fittings, check out our project here. As you can see, if you are in the process of plumbing in a sink, bath, shower or even a washing machine, you do have a few options in terms of removing waste water. There is certainly no right or wrong answer in terms of which you should use, as, at the end of the day, as long as it removes the waste and doesn’t leak, that’s all you need. With this in mind, the only real consideration comes down to how it might look. If your waste run is going to be on show to the world, then maybe the solvent weld route is the way to go as this is a little more subtle. If looks are not a consideration, then compression or push fit may be the way to go, it’s really up to you!